RHYTHM COLLECTIVE is an award winning band, the recipient of multiple OEA Omaha Entertainment Award. RC performs original reggae and calypso tunes from their two CDs. 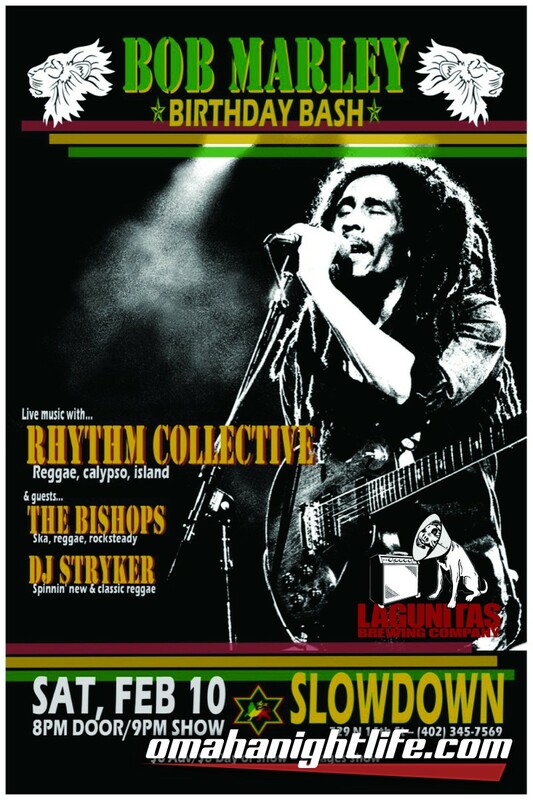 RC also performs standard island reggae tunes of Bob Marley and Jimmy Cliff's and Kitchener and Byron Lee Soca and Calypso party tunes. 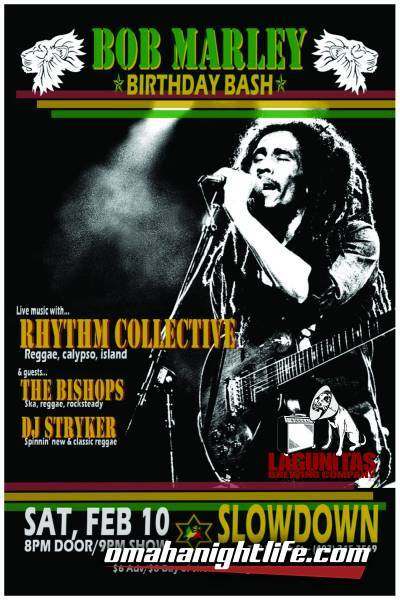 RC also performs American Classic rock in reggae and ska styles. RC resume includes performance at Joslyn Museum Jazz on the Green, Holland Performing Arts Center etc. outdoors Festivals and also in regular local venues e.g. Harney Street Tavern, Slowdown, The Hive Rock Club and Art Gallery, Waiting Room, Parliament Pub, Stiles Pub, Anchor Inn etc. RC also holds summer parties on the river aboard the River City Star several times each summer to sellout crowds for the last ten plus years. 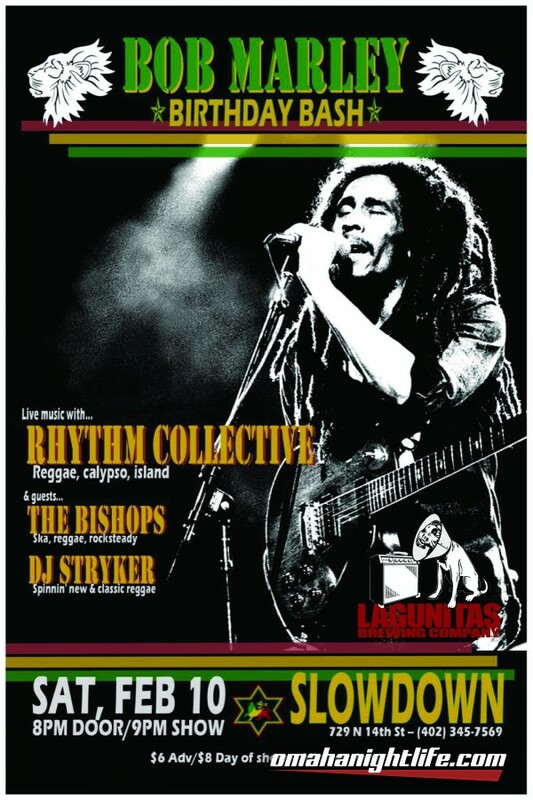 RHYTHM COLLECTIVE is the area's only Caribbean voice, formed around the singer-songwriter talents of Joseph Mitchell. Joseph, a native of St. Patrick's parish on the island of Grenada, has performed with a number of bands in his home country and been a featured entertainer on cruise ships throughout the Caribbean. Joseph adds rhythm guitar and keyboards to the 'RC' sound. Bass guitar is handled by Frank Fong. Frank, a native of the island of Hong Kong, has performed with a number of bands in his home country. He is a muti-instrumentalist and composer whose skills and interests cut a wide swath musically and culturally. He has performed with the Blue Mangoes reggae band, the New Humans performing exclusively original materials, as well as many solo gigs. The band also performs some of Frank's original works. Brent Vignery has been playing drums for 20+ years. For 20+ years he has played in several bands mainly in the Kansas City and Lawrence, KS areas. Past bands include Devon Allman, Duncan Hill Band, Russell Sawyer, The Used Cadillac's, Boxley Brothers, and Nathan Brooks. Some of Brent's biggest inspirations are Vinnie Calaiuta, Steve Gadd, John Bonham, Go-Go Ray, Stewart Copeland, and many more.